America’s Friendliest Airport® is about to get even more friendly with a variety of new retail offerings in its busiest terminal. At Phoenix Sky Harbor International Airport, Phoenix City Council approved the first phase of new retail contracts in Terminal 4, which will bring two spa locations, several tech stores, and an assortment of the local, regional and national products customers have been requesting. New concepts include specialty boutiques, candy stores and newsstands. Are you ready to shop ‘til you drop this summer? If so, then The Camby Hotel has the deal for you! The Shopping Bliss package includes a stylish king or two double bed guestroom, two craft cocktails at Artizen, Crafted American Kitchen and Bar, complimentary valet parking, breakfast for two from Chef Dushyant’s summer solstice menu and keys to The Camby with a ton of Benefits & Treats from the shops at the Biltmore Fashion Park; all for only $169. Everything is included, even the fun! This summer the Arizona Biltmore, A Waldorf Astoria Resort is offering an All Inclusive Summer Stay Package. This package includes access to all of their classic luxurious accommodations, breakfast lunch and dinner for two, 20% off a la carte Spa Biltmore Services and complimentary self parking. Family fun in the summer sun, Pointe Hilton Squaw Peak Resort is offering a summer deal that will please the whole family. The Amazing Memories are Made Here Deal starts at $109 per suite, per night and includes access to the 4 acre water park. Or get into the swing of things with the 2016 Golf Stay & Play Deal which includes a one-night stay, Hilton Breakfast and one round of golf at the Lookout Mountain Golf Club all starting at $179 per person, per night. This birdie of a deal only lasts till Sept. 10. Enjoy cool summer savings and plenty of freezing family fun this summer with The Westin Kierland Resort & Spa’s Big Chill Package, which offers a choice of package options – a $50 per room, per night dining credit or two free sessions on the Kierland FlowRider wave simulator. The Big Chill Package will be available from May 30 through Sept. 5, 2016. Rates for July start from $169 per room, per night and from $149 per room, per night in August and September. 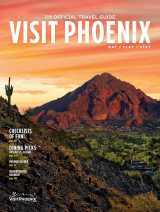 This summer, The Phoenician has something for guests of all ages and interests. For guests 7+ that want to work on their mermaid technique, AquaMermaid School teaches various techniques to glide through the resort’s pool with the help of a specifically-designed, colorful tail and fin. For adults looking for an aqua workout, a 60-minute program provides an excellent alternative core workout, combining synchronized and monofin swimming. Techies of all ages can participate in an iPad Scavenger Hunt that includes puzzles and games to track down iconic locations throughout The Phoenician. Those looking for their zen can take advantage of buy one, get one 50% off treatments at The Centre for Well-Being Spa. Foodies should head to J&G Steakhouse for a $30 three-course Afternoon Tea menu or $20 two-course menu at Relish Burger Bistro. Calling all water enthusiasts! The Sheraton Grand at Wild Horse Pass Hotel has River Adventure Boat Rentals. What better way to enjoy the Arizona sun than on the Gila River! Guests 12 years and older are sure to have the time of their lives paddle boating, hydro biking, kayaking and paddle boarding on our crystal clear river! Adult supervision required. Calling all mini mermaids and student swashbucklers—Mermaid University and Swashbuckler Academy are in session at Fairmont Scottsdale Princess Resort. Join Moon, the Princess&apos; resident mermaid, and learn how to flip your fin this summer during a 90-minute mermaid immersion at Mermaid University. Than at Swashbuckler Academy, the infamous Cap&apos;n Jack and his crew have stormed Sunset Beach and are recruiting new pirate friends! Learn how to talk, fight and sing like a pirate in this 60-minute experience. Splash into the 70s, 80s and 90s this summer at The Scottsdale Resort. Where else are you going to find groovy, righteous and superfly decades-themed weekend dive-in movies and live music events? Like, totally take a chill pill and experience retro cocktails ... Cosmo, anyone? Nosh on some grindage at the all-new Kitchen West, BarSix40 and Twisted Vine. Or, chillax poolside after a totally tubular massage. No matter the decade, it’s time to dive into the ultimate summertime flashback. Dive into the Decades package at The Scottsdale Resort. Summer package includes: a $50 Nightly Food & Beverage Credit; two $25 Luna Spa Vouchers; Kids Under 12 Eat Free (some restrictions may apply); and live music poolside from the 80s in July and 90s in August. The Monthly Mashup series returns this fall to Talavera at Four Seasons Resort Scottsdale at Troon North, kicking off Sunday, Sept. 11, with Chef Bernie Kantak from The Gladly. Each month, one prominent local chef joins forces with Executive Chef Mel Mecinas for an unpredictable evening of culinary fun. Each evening features a four-course tasting menu, with highlights from each chef’s culinary concept. The chefs join forces for a specialty amuse course to start the culinary journey. The cost for each event in the series is $95 per person, not inclusive of tax and gratuity. The fall 2016 series is as follows: Sept. 11: Chef Bernie Kantak of The Gladly; Oct. 9: Chef Cory Oppold of Atlas Bistro; Nov. 13: Chef Bob Tam of Bitter & Twisted Cocktail Lounge; and Dec. 11: Chef Lisa Dahl of Mariposa Latin Inspired Grill (Sedona). A fresh face is creating new flavors in the Prado kitchen. The Omni Montelucia recently welcomed James Beard award-winner and Michelin Starred Chef, Alex Stratta, as the new Chef de Cuisine of Prado. Spend the summer with Chef Stratta through an epicurean journey with new experiences including Sip of Spain. With the hustle and bustle of summer paired with the heat it’s not always easy settling on dinner date options, but at the Omni Scottsdale we make date night easy. Perfect for a romantic evening or to reconnect with close friends an ‘Evening for You’ is just what you need. For $50 per person or $75 with wine pairing, cozy up in Prado for a three-course, pre-fixe menu featuring Chef Stratta’s seasonal specialties. The Hotel Valley Ho is offering a cool way to “work on your warrior” this summer with a serene poolside yoga series. The class lasts for one hour is held Fridays at 9:15 a.m. at the VH Spa Movement Studio and Sundays at 9:15 a.m. at the OHasis Pool. There is a $15 fee and 20% service charge for this event. Reservations are recommended. Want to enjoy a summer full of music? July is packed with musical acts at the Hyatt Regency Scottsdale Resort & Spa at Gainey Ranch center stage bar. The musical performances began on July 1st and will end on July 31st. Acts include the Neon Quartet, the Chad Gregory Trio, Danica Prager and even a hoop dance performance! Sanctuary on Camelback Mountain’s award-winning Lunch & Learn series returns for its 15th season. This summer’s lineup, featuring some of the country’s top culinary experts, will leave guests star struck (and asking for seconds) as celebrity chefs and Food Network Stars dish out recipes and behind-the-scenes insight. On Saturdays throughout July and August, top chefs will join Sanctuary’s Executive Chef Beau MacMillan for interactive cooking demonstrations including a three-course meal with wine, Q&A opportunities and take-home recipes. Held in The Views Ballroom, all lunch events are $75 per person and start at 12 p.m. Dinner events are $125 per person and start at 6 p.m. All prices exclude tax and gratuity. Reservations are required. For those who wish to stay the night, a special rate of $199 with an upgrade to a Mountain Suite is offered following each Saturday event (based on availability, excluding tax and resort fee) with the purchase of a Lunch & Learn ticket. Phoenix&apos;s most awarded cocktail bar, Bitter & Twisted Cocktail Parlour has been nominated for the &apos;Oscars&apos; of the bartending world, the Tales of the Cocktail 10th Annual Spirited Awards®. As the first-ever bar in Arizona to be recognized, Bitter & Twisted was named one of 10 finalists for the Best American High Volume Cocktail Bar, alongside nationally renowned bars such as Herbs & Rye in Las Vegas and NYC&apos;s Flatiron Lounge and the Pegu Club. Created in 2007 to recognize this year&apos;s best bars, bartenders, writers and experts in the hard working service industry, B&T and its fellow nominees were chosen following a rigorous evaluation of more than 1500 unique nominees. Have you heard? The Heard Museum invited guests to hear stories about Fred Harvey, the Grand Canyon, the Harvey girls, Arizona history at heard museum’s ‘Canyon Conversations & Cocktails’ summer series. Gather in cool comfort inside the Heard galleries on any or all of the four remaining Thursday nights this summer to take part in engaging conversations in the museum’s Crossroads/Dennis Lyon Family Gallery. Each event presents a different speaker and topic. The series is $10 for non-members and members are free. Cash bar available for those age 21 and older. If you’ve ever wondered what it’s like to live a bug’s life, the Arizona Science Center’s the World of Giant Insects is a bugs-eye-view of the insects you see every day. Get an up-close look at the menacing Chinese praying mantis or watch as a giant desert locust takes flight right over your head. The exhibit is educational fun for the entire family. Admission to this one-of-a-kind exhibit is $6 per person in addition to regular admission to the museum. Want to kick it with a komodo dragon or hang around with the squirrel monkeys this summer? Then Camp Zoo maybe the place for you! From now until July 29th the Phoenix Zoo is hosting sessions for kids of all ages. For Kindergarteners a Storybook Safari through all the animal books, for grades 6-8 they can see if they have what it takes to be a zookeeper for the day. Bonjour! Do you wish you could spend a day in Paris? Oui do! On July 10th the Musical Instrument Museum is allowing guests to join in on the fun during Experience France, a celebration of French music and culture. There will be live performances, hands-on activities peruse the French goods in the Museum store and enjoy in a French inspired food in the Museum café. Experience France is included with regular admission to the museum. Explore the desert after dark with a Flashlight Tour at the Desert Botanical Garden. Thursdays and Saturdays, 7-10 p.m. take the self guided tour with various discovery stations including: Arachnid Encounters: Tarantulas and Scorpions Discovery Station, Friendly Flyers: Bat Discovery Station, Hear a Hoot: Owl Discovery Station and Hop to It! Frog and Toad Discovery Station. Get your craft on and make Agave Fiber Bracelets, Bat Finger puppets and Constellation Cups. Bring your own flashlight and join in the nighttime of discovery. Admission is $22 for Adults, $12 for children ages 3-12, and free for children under the age of 3. Western Spirit: Scottsdale’s Museum of the West this summer is presenting an exhibition showcasing the artistic talent and intriguing life story of Lone Wolf (aka Hart M. Schultz; 1883-1970), a Blackfeet Indian artist who played a significant role in capturing the accounts of the individuals and events that shaped the American frontier during the first half of the 20th century. He was among the first American Indian artists to paint in an academic style, and is one of the most important Glacier National Park artists. “Lone Wolf (Hart M. Schultz): Cowboy, Actor & Artist” opens June 21 and will remain on view through August 31, 2016. The exhibition features oil paintings, rare bronze sculptures, pen and ink illustrations, illustrated letterhead and ephemera. The exhibition also features rare video footage including a recorded interview with the artist as he talks about his life and artistic inspirations. All aboard! The Arizona Capitol Museum is now displaying Artifacts from the Merci train inside the historic state capitol. The Merci Train carried many various expressions of gratitude; from many painted and sculpted works of art, china, fashion, posters and written letters. Many letters contained references to the assistance provided by the U.S. during both World Wars I and II. The box car is still intact and can be seen at the McCormick-Stillman Railroad Park in Scottsdale. A selection of items from the train appears in the “From Friendship to Gratitude – The Merci Train Collection” exhibit in the AZCM. For a relaxing summer look no further than Spa Biltmore at the Arizona Biltmore. The spa is now offering guests a selection of deals for the summer. Like the Summer Tranquility Massage, a massage that blends the movements of a Swedish massage to create a relaxing experience to provide an “overall sense of well-being” regularly $140, but for summer $99. To put your best face forward this summer try the Summer Boost Facial which cleanses and moisturizes using active customized serums and natural oils followed by a variety of masks that balance and hydrates skin for only $99. Spa Avania at the Hyatt Regency Scottsdale Resort & Spa at Gainey Ranch is transforming a favorite summertime snack into a series of luxurious body treatments. The Watermelon Breeze treatments give a healthy dose of vitamins A and C and because watermelons are mostly made of water, they revitalize and hydrate dry summer skin. Choose between a massage with watermelon breeze massage oil ($135 for 60-minutes), a watermelon body wrap with a sugar scrub ($135 for 60-minutes) or an awakening facial with a watermelon collagen mask ($145 for 60-minutes). Looking for a ‘Spa-tacular’ way to relax on a Sunday? Then head over to Joya Spa at Omni Montelucia Resort & Spa now offering a ‘Spa-tacular Sunday’ summer spa special. This relaxing summer deal includes your choice of a 50-minute classic massage or a 50-minute transformative facial, a choice of a hydrating manicure or pedicure and a fitness class for only $165 per guest. The VH Spa at the Hotel Valley Ho is offering you a way to get Mo’ Mojo this summer with spa deals. Monday through Friday save 50% on some of the most popular treatments. Indulge yourself in a 90-minute Deep End massage, normally $190 for $90. Treat yourself to a luxurious 60-minute advanced facial, normally $125 for $60. Incorporate ingredients and other elements unique to the desert at Sonoran Spa at the Four Seasons Resort Scottsdale at Troon North. Now offering guests a $175 daily spa credit and 25% off spa services, all on top of their already luxurious accommodations. The spa has treatments like the Pinnacle Facial, named after Pinnacle Peak, the Jojoba and Prickly Pear Polish, Golfers’ Massage, and Sticks and Stones Massage, which pair perfectly with the resort’s surroundings-the Sonoran Desert. Science and dessert collide at Creamistry, an ice cream shop founded in 2013. Ice cream treats are flash frozen using liquid nitrogen and over 70 flavors and toppings. Arizona locations of this innovative franchise will open throughout 2016 and beyond. Creamistry has a unique take on creating the perfect ice cream treat. Customers choose a size or specialty (ranging from shakes to floats to waffle bowls and more), next they select an ice cream base (including premium, organic, Greek yogurt, non-dairy, vegan and gluten free options including sorbet and coconut milk) and one of nearly 40 flavors (ranging from birthday cake to sea salt caramel to Madagascar vanilla bean or blood orange sorbet) and finally they select toppings (candy, fruit, nuts, cookies/cake). Everything is mixed with liquid nitrogen for a smoky and satisfying visual showcase. Creamistry opens their second location at Uptown Plaza. The James Beard House in New York City recently elected to host chefs from Fox Restaurant Concepts including Little Cleo’s Seafood Legend, Culinary Dropout, Flower Child, North Italia and The Henry. The chefs prepared a five-course meal as well as hor d’oeuvers to show off each restaurants unique culinary style. Sam Fox was invited to celebrate his unique restaurant concepts and how they grew the culinary scene in Phoenix. Phoenix might not be the first place you think of for barbecue food, but we certainly hold our own. The restaurant and hotel review website, Gayot, released their top 10 list of the best BBQ spots in America and a Phoenix restaurant made the list. Little Miss BBQ offers brisket, house-made sausage, pork ribs, pulled pork and turkey breast served alongside pickles, onions and white bread. With its close proximity to Sky Harbor International Airport, there’s no reason for locals and visitors to not make a stop at Little Miss BBQ. Looking to beat the heat this summer? Head to Market Street Kitchen will introduce their brand new Market Street Kitchen will be serving up Happiest Hour food and drink specials, seven days a week, from 3 - 7p.m. Plus, don&apos;t miss out on MSK&apos;s farm-fresh craft cocktails, made with house-made syrups and seasonal ingredients. Swing by Market Street Kitchen daily to savor chef-crafted bar bites starting at only $5, such as the savory Cicharones (fried pork skin, dusted bleu cheese and a side of sriracha ranch). Feeling some lighter? Treat yourself to some flavorful $5 Baba Ghanoush (roasted eggplant dip, served with vegetables). Or wet your whistle with $4 local draft beers, $5 wines by the glass and $5 well spirits, $7 well martinis and $5 bubbles. This summer, bring your golf shoes and your swimsuit for The Westin Kierland Golf Club’s Smash & Splash. Golf guests who play a round as a part of the Smash & Splash promotion at Kierland Golf Club can enjoy a round of golf and then cool down for an afternoon or evening of fun at The Westin Kierland Resort’s Adventure Pool complex, which features the Adventure Pool, lazy river and waterslide. The Smash & Splash is priced at $59 per adult and $39 for kids 15 and under with a paid adult. The offer is valid Sundays through Thursdays from May 30 – Sept. 11, 2016.